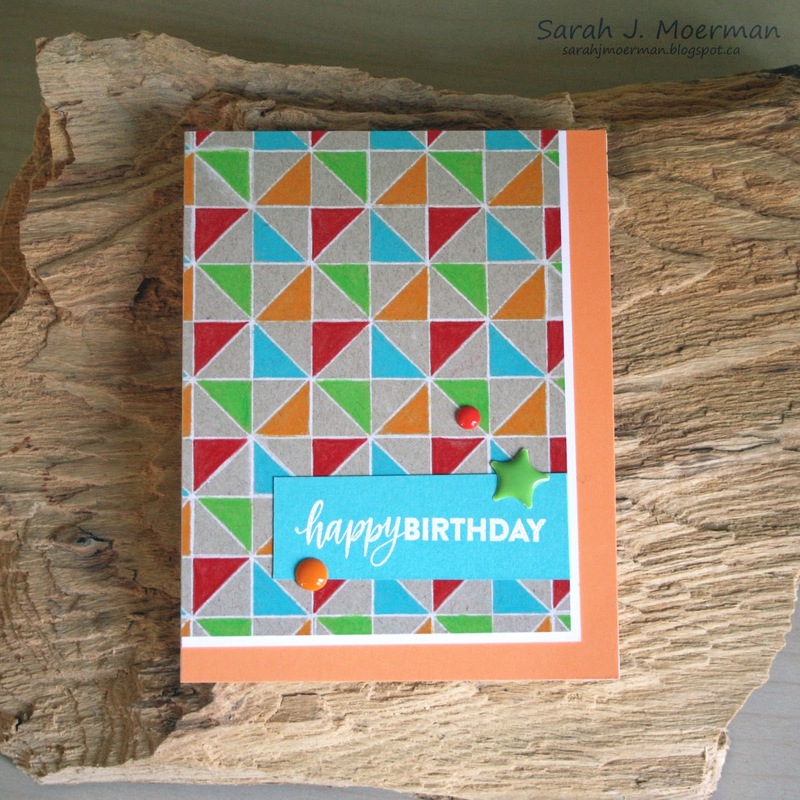 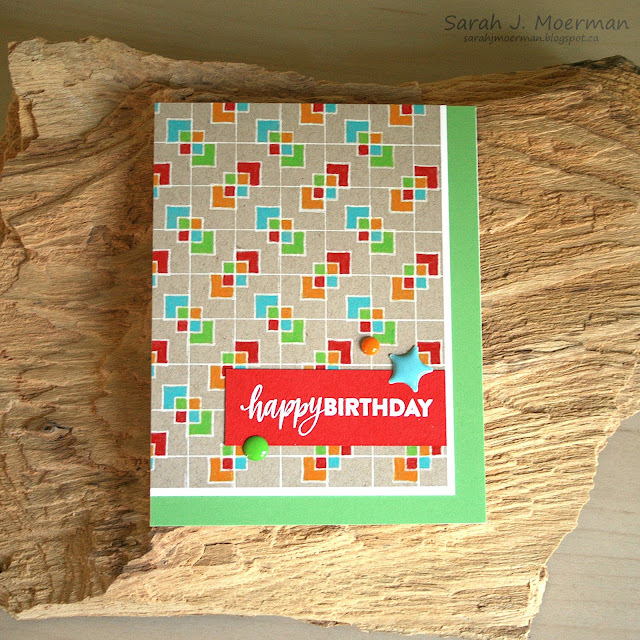 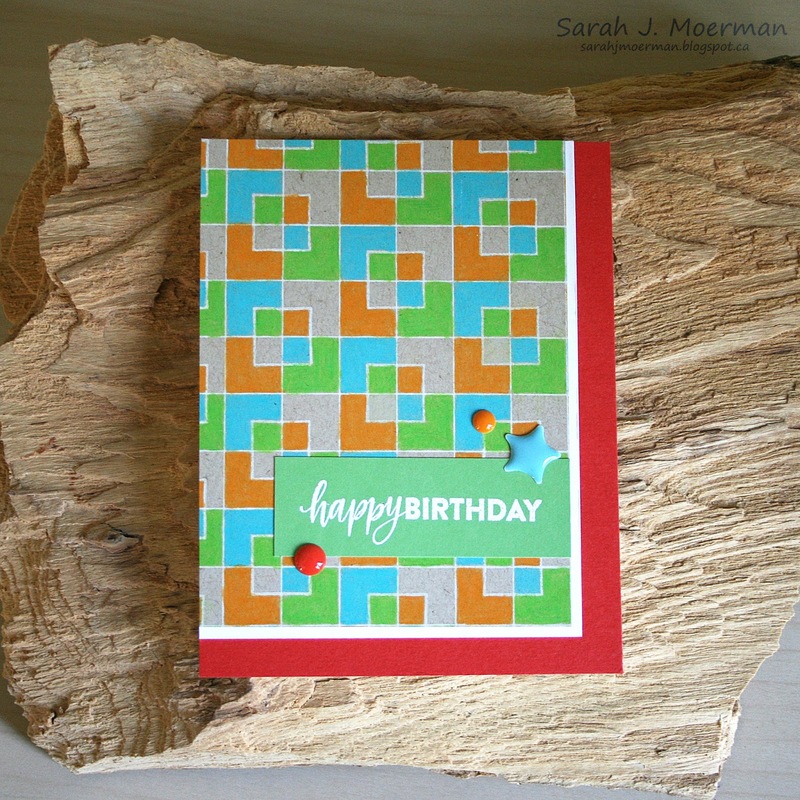 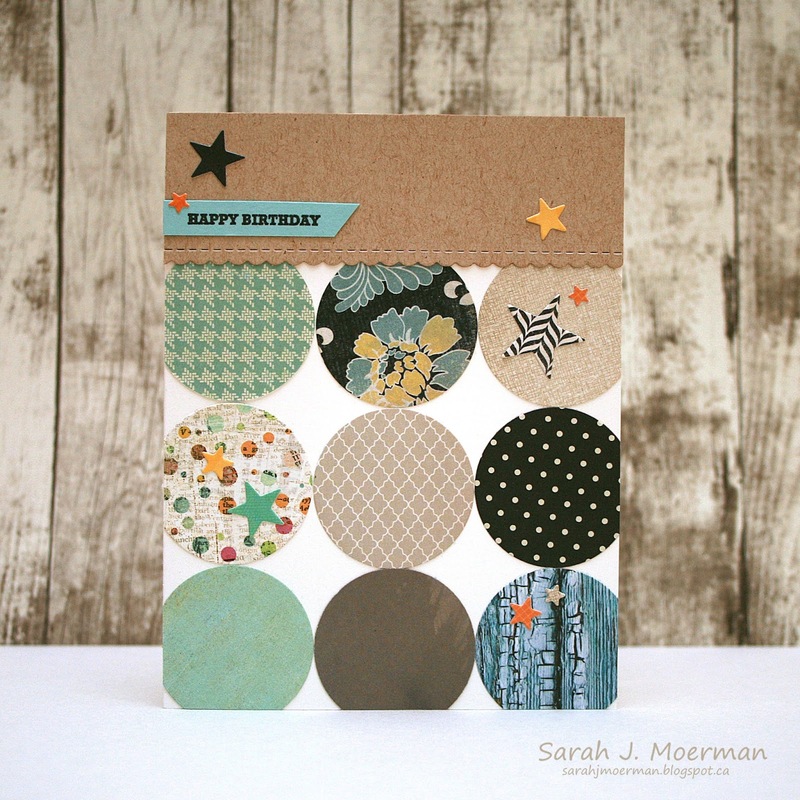 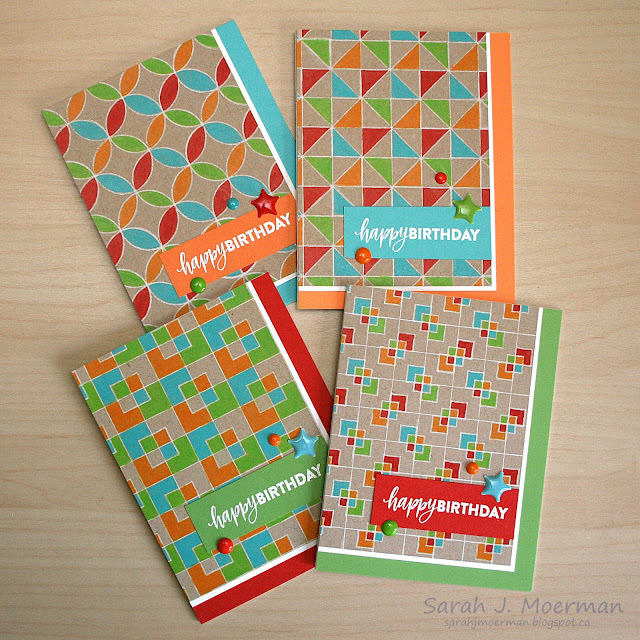 I'm popping by today to share a set of cards I made using Laura Bassen's brilliantly designed grid-related products. 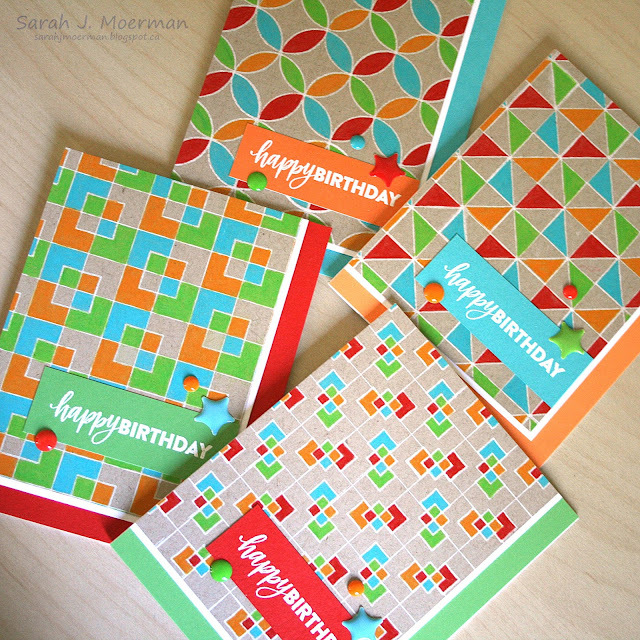 She designed these for Simon Says Stamp. 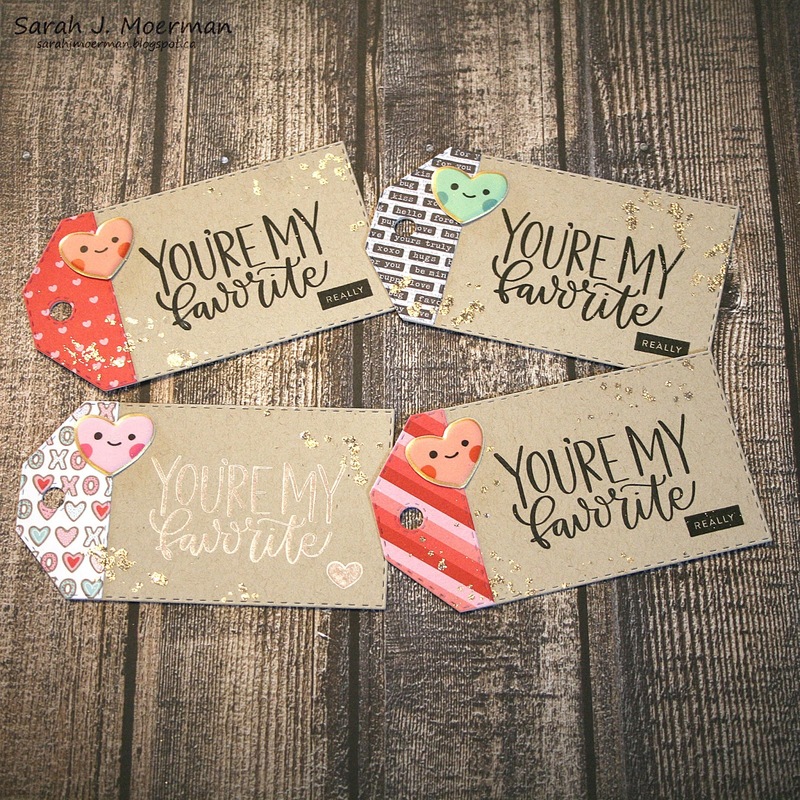 I had SO much fun playing with these products to create my own backgrounds. Backgrounds are my favourite stamps to work with and I was totally in my element coming up with my own background designs. 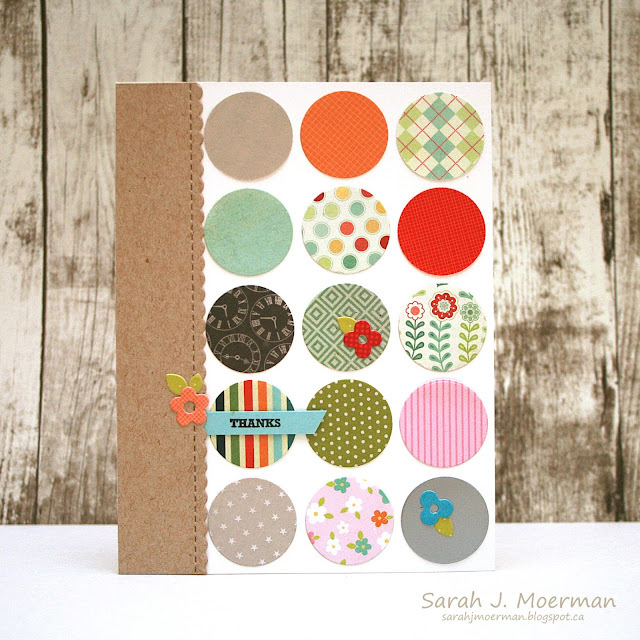 For the card with the circles, I stamped the Grid Play Background with Simon's Barely Beige Ink on Neenah Desert Storm Cardstock and used Simon's White Pigment Ink to stamp the circles. All the other backgrounds were stamped using only Simon's White Pigment Ink. The additional stamp sets used to create the backgrounds were Simon's Grid Play Clear Stamps for the cards with the blue, orange, and red backgrounds, and Simon's Live Well Stamp Set for the card with the green background. 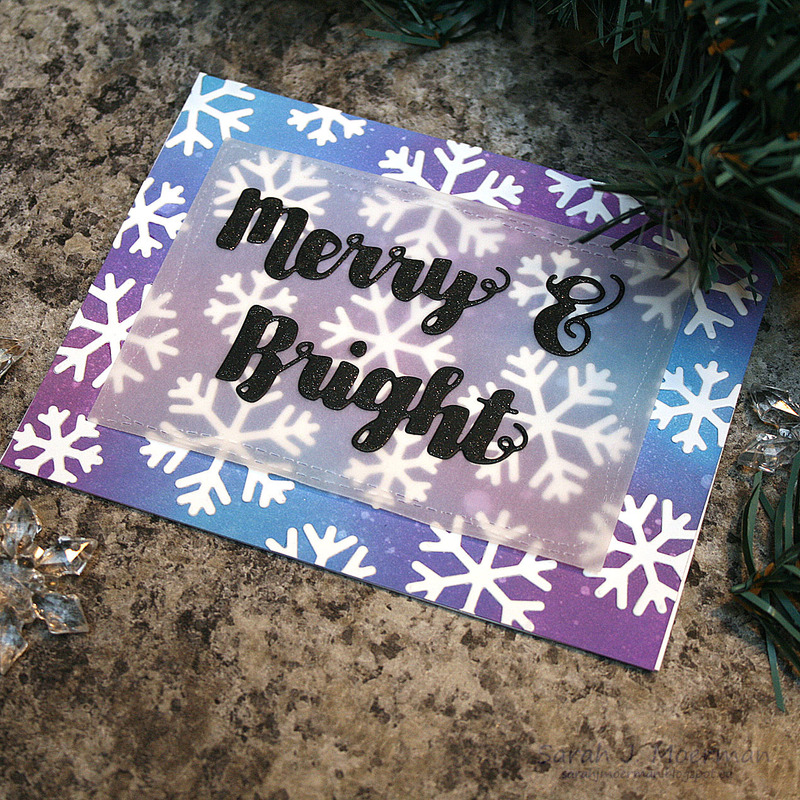 Once the ink was dry, I coloured the images with Prismacolor Pencils. 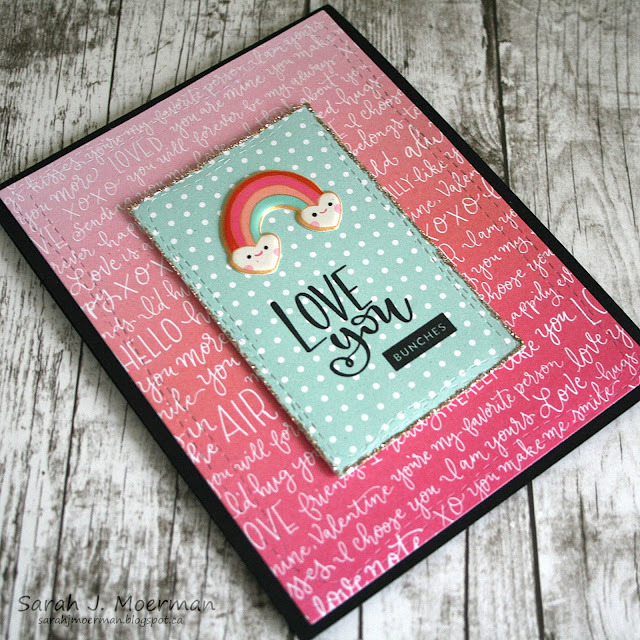 I matted the stamped panels with Neenah White Cardstock before adding them to backgrounds with coordinating colours. 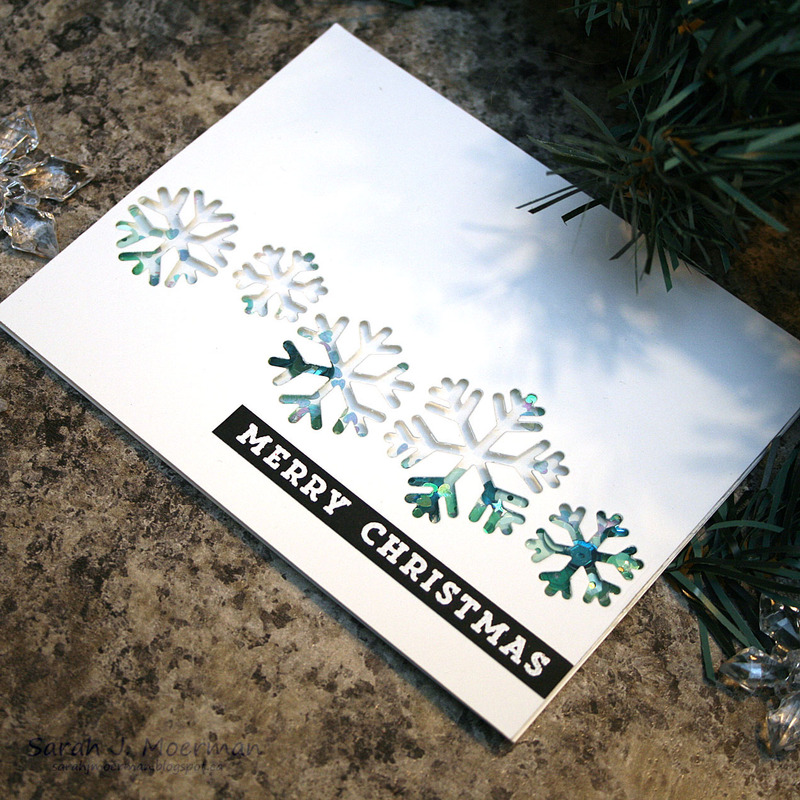 The white heat embossed greetings were stamped with a sentiment from Simon's Brush Stroke Messages and the cards were finished off with various enamel shapes. 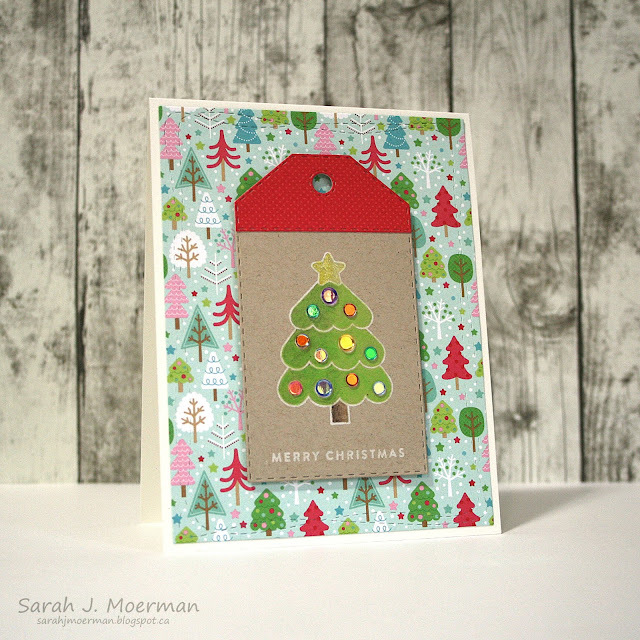 I love the mint colors and the wood patterns in the holiday kit!!! 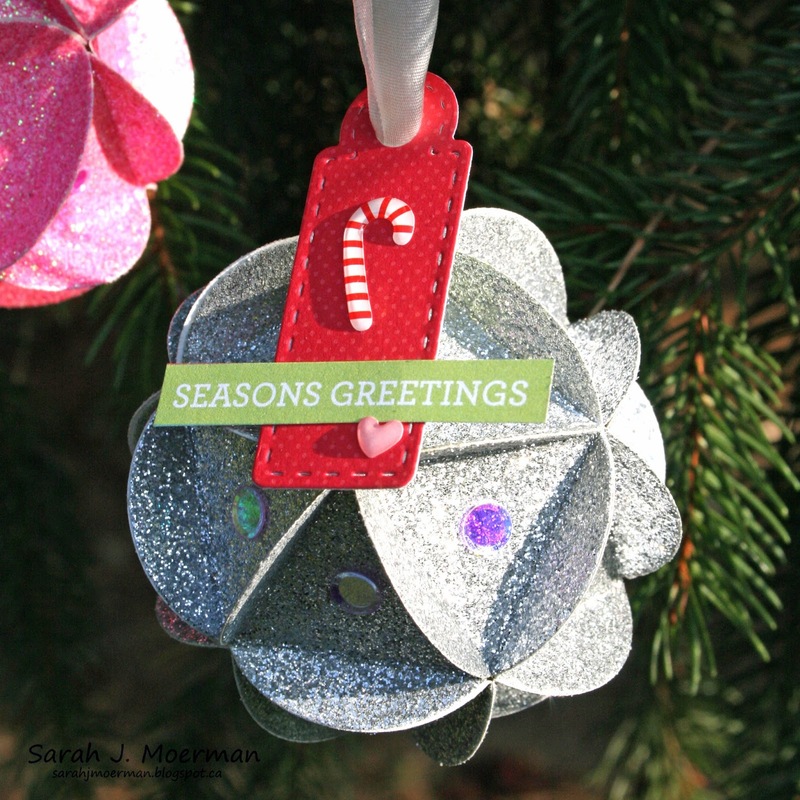 The glitter ornaments are beautiful. Like the tags! Congrats Rhodé! 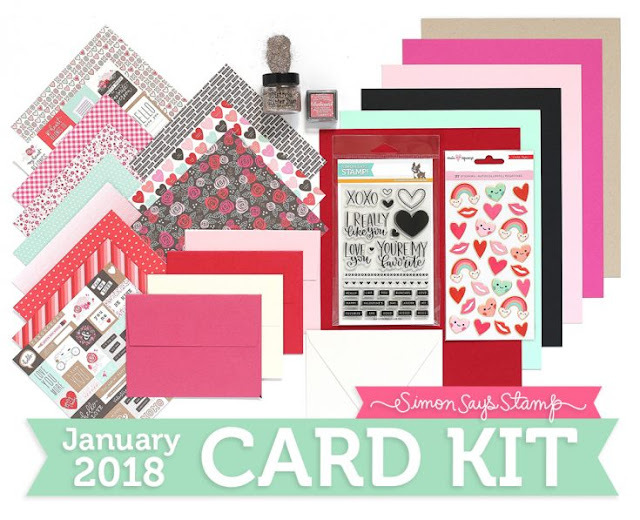 Please message me via my sidebar with your mailing info so I can pass it on to Simon! 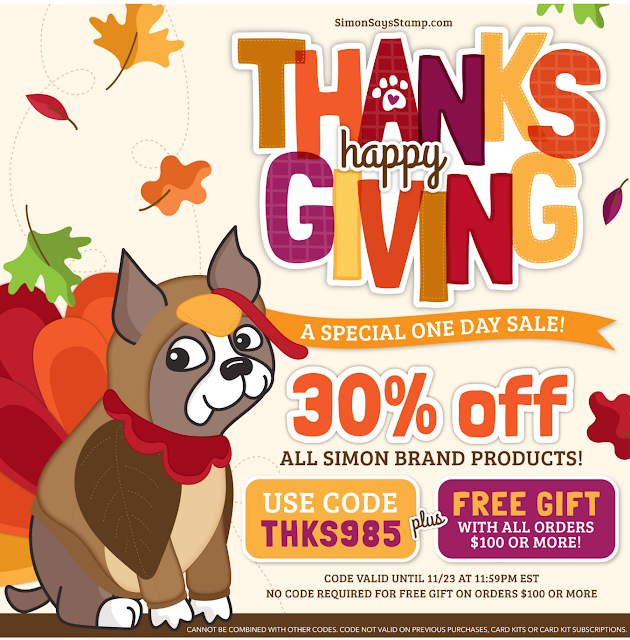 30% off Simon Brand Products!!! I'm just popping in real quick to let you know that Simon Says Stamp is having a huge sale on their exclusive brand products. 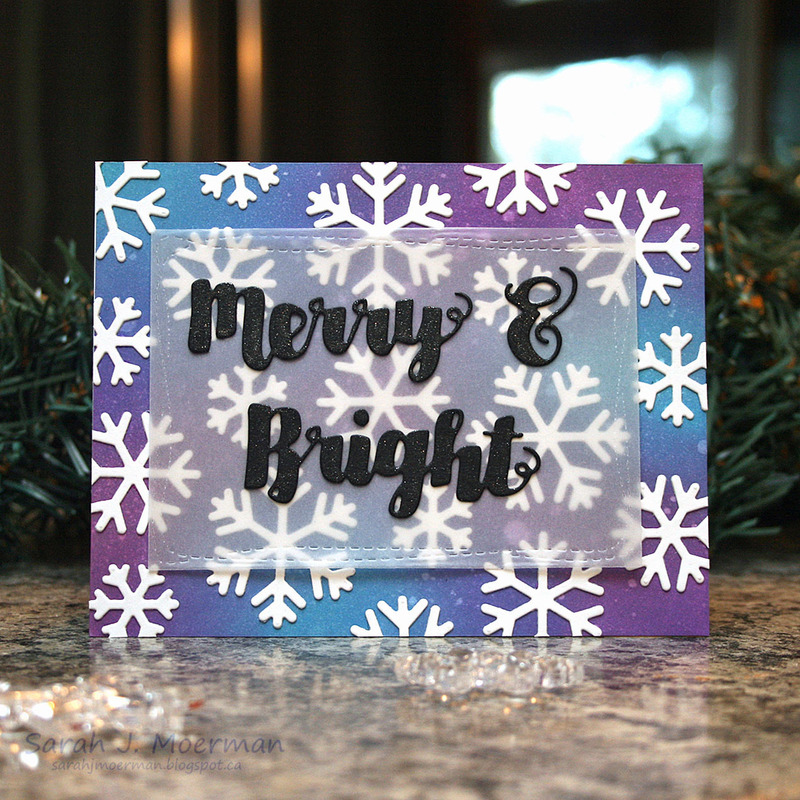 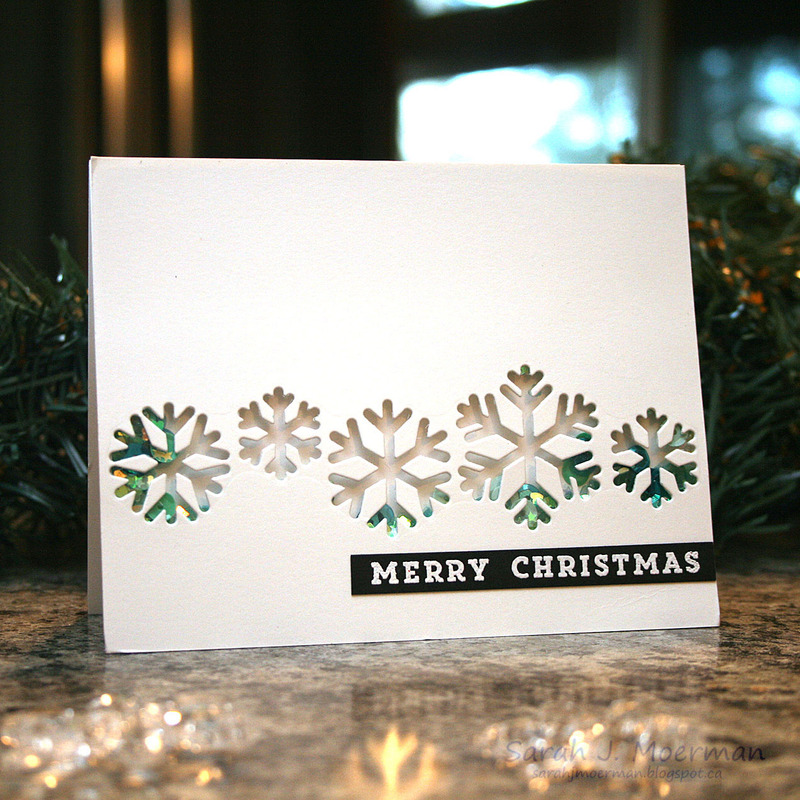 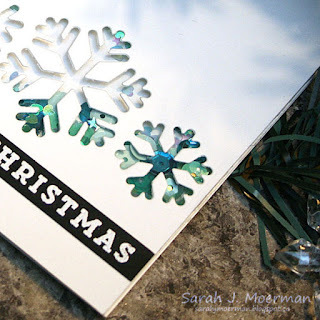 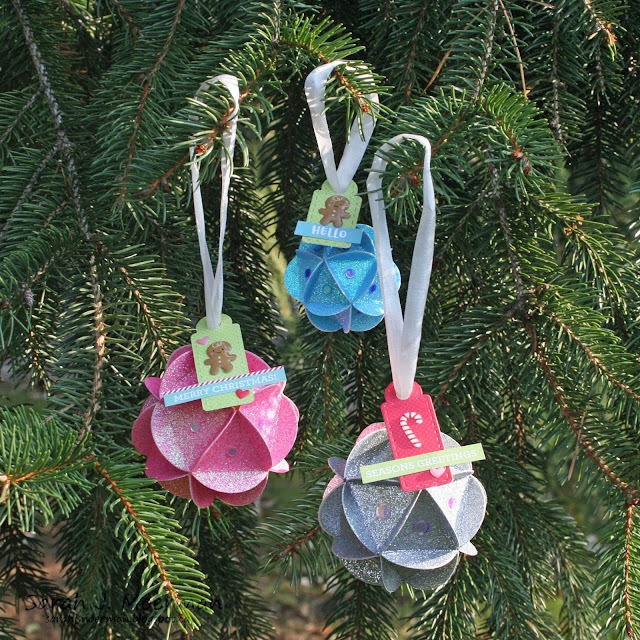 SSS December Card Kit: Sparkly Christmas Tree & GIVEAWAY! 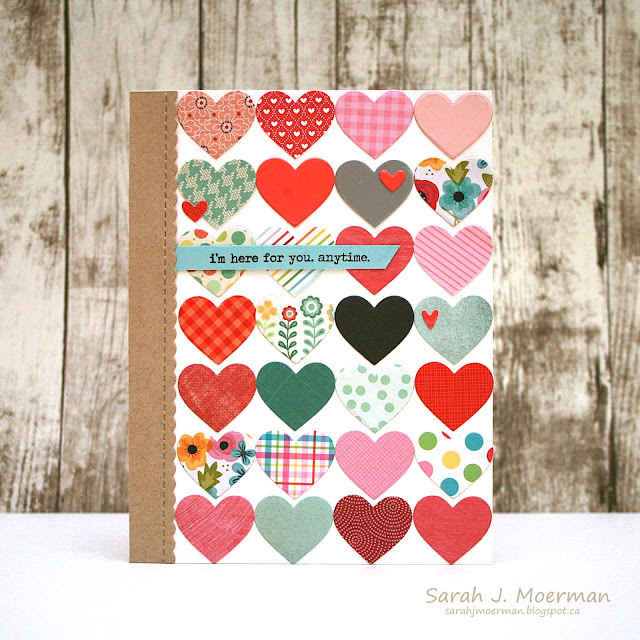 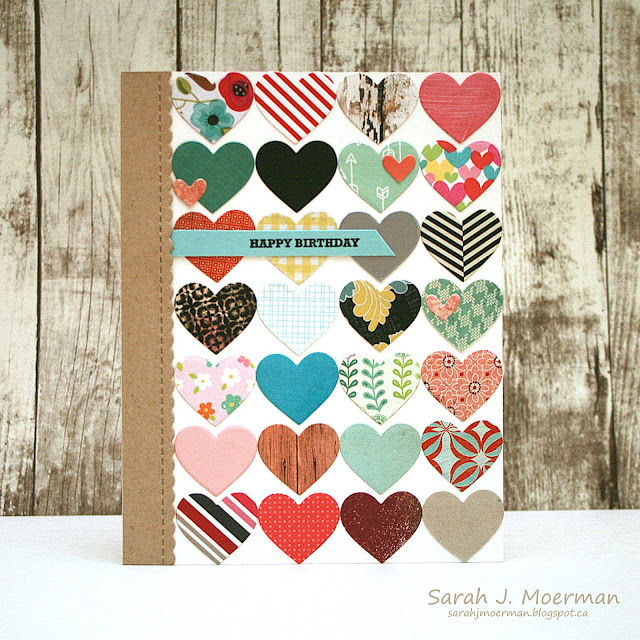 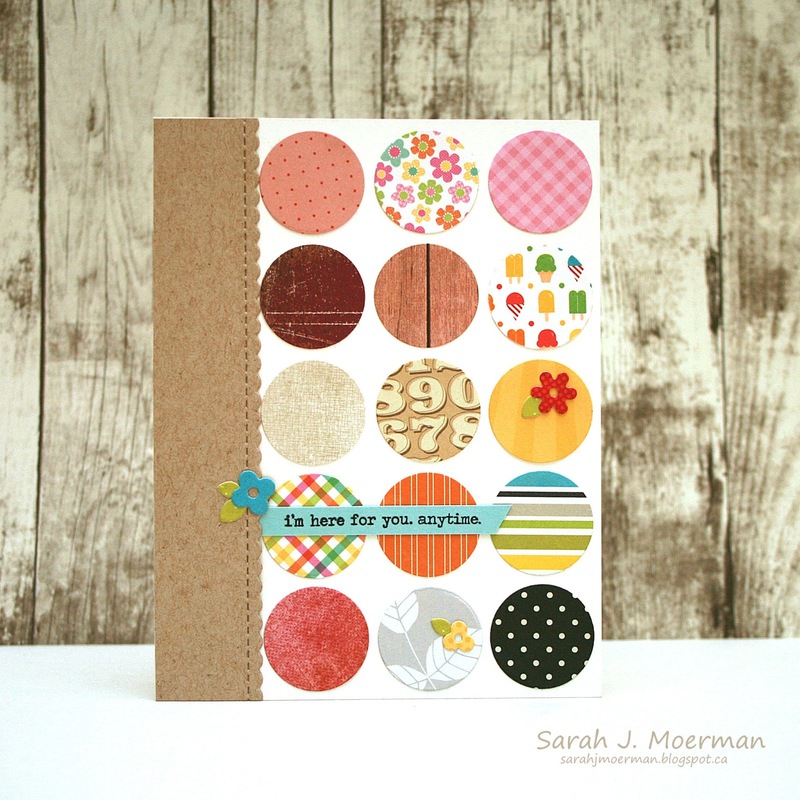 I'm back to share a final card featuring the adorable Simon Says Stamp December Card Kit. 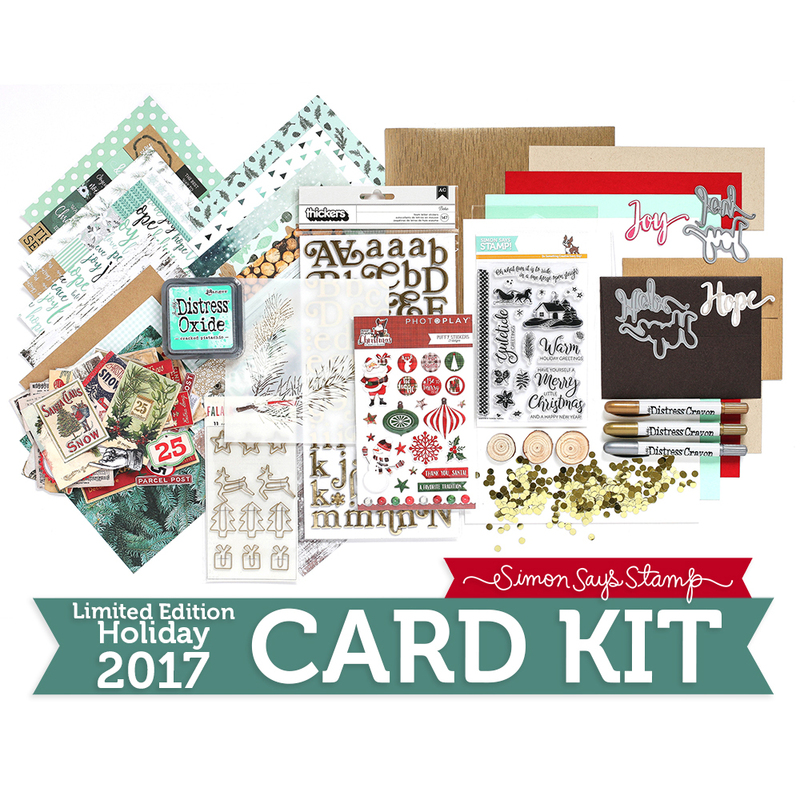 ETA: The December Card Kit has now sold out! 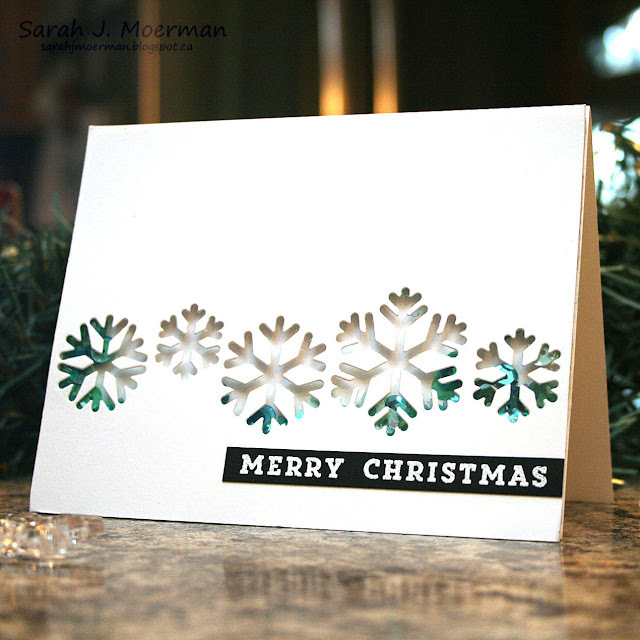 Individual components can still be purchased and I still have one to give away! 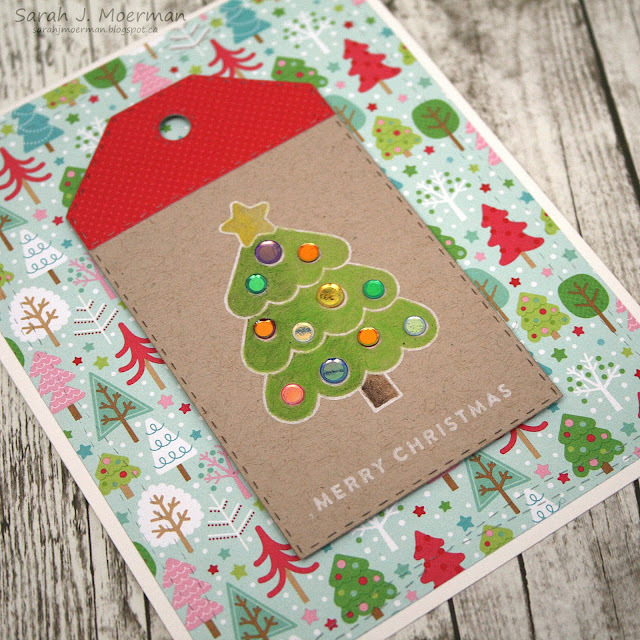 For today's card I die cut Simon's Stitched Dress up Tags Die from the Neenah Desert Storm Cardstock and a piece of the Doodlebug Milk and Cookies Paper. 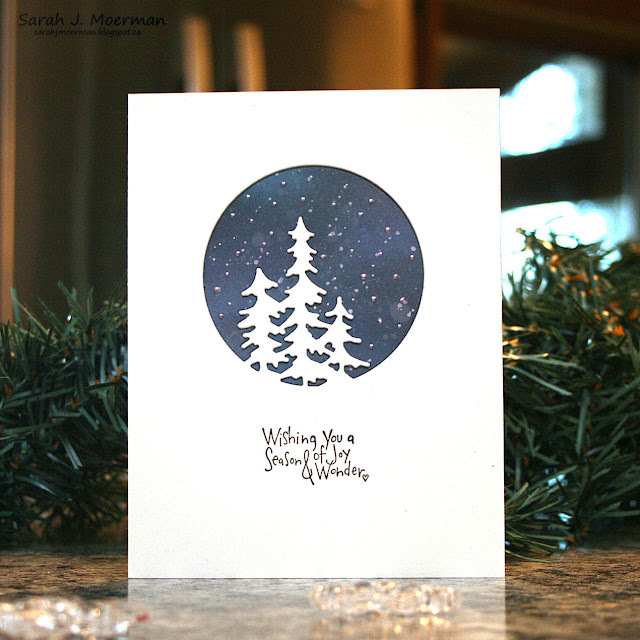 I stamped the adorable tree image and sentiment from the Simon Says Stamp Christmas Squad Stamp Set using Simon's White Pigment Ink. 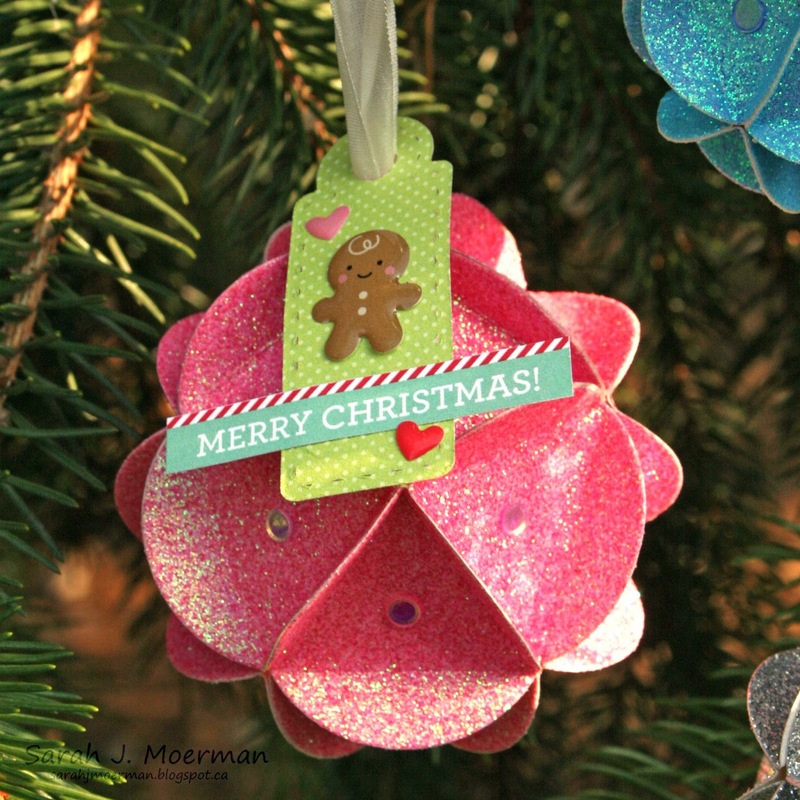 I coloured the image with Prismacolor Pencils and added some Clear Wink of Stella to the star. 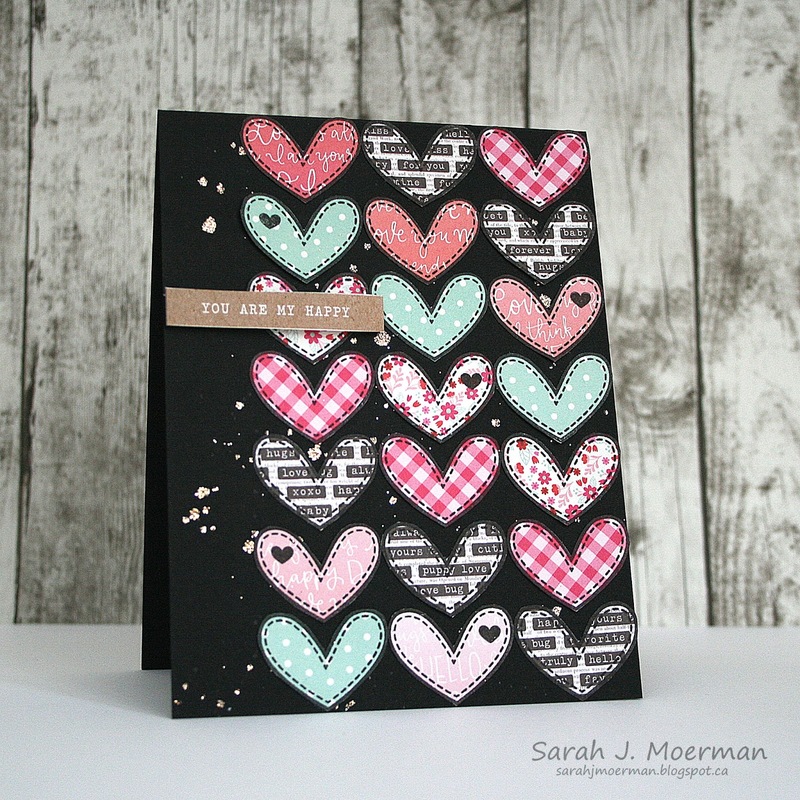 The Simon Says Stamp Colorful Confetti Sequins were added with Multi Medium Matte. I used foam tape to adhere the tag to a piece of Doodlebug Milk and Cookies Paper cut with one of Simon's Wonky Rectangles and adhered the panel to a top-folding notecard made from Simon's Ivory Cardstock. 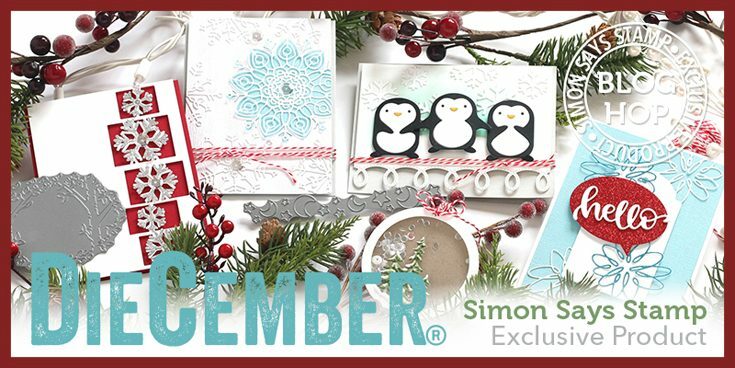 If you're interested, you can pick up the Simon Says Stamp December Card Kit for just $29.99 + shipping. If you'd like to receive this kit and future kits for only $24.95 + shipping per month, you can SUBSCRIBE HERE. 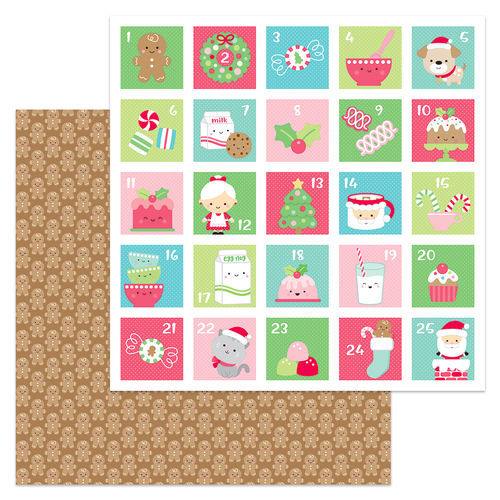 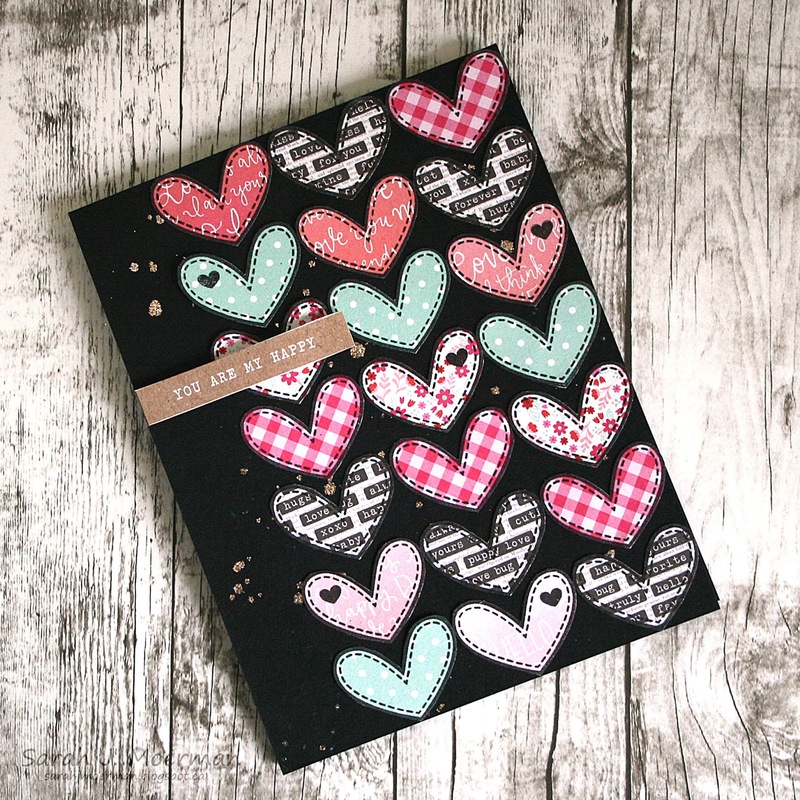 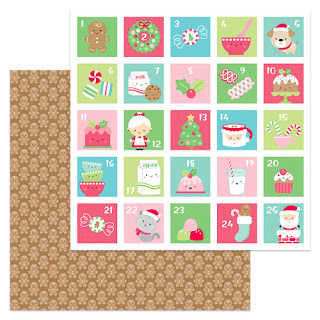 Heidi, owner of Simon Says Stamp, has given me an extra Simon Says Stamp December Card Kit to pass on to one of you! 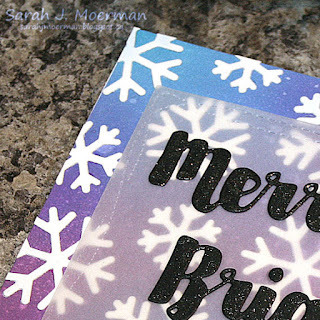 Just leave a comment on any or all of my December 2017 Card Kit posts and I'll announce a winner Monday, November, 27th. 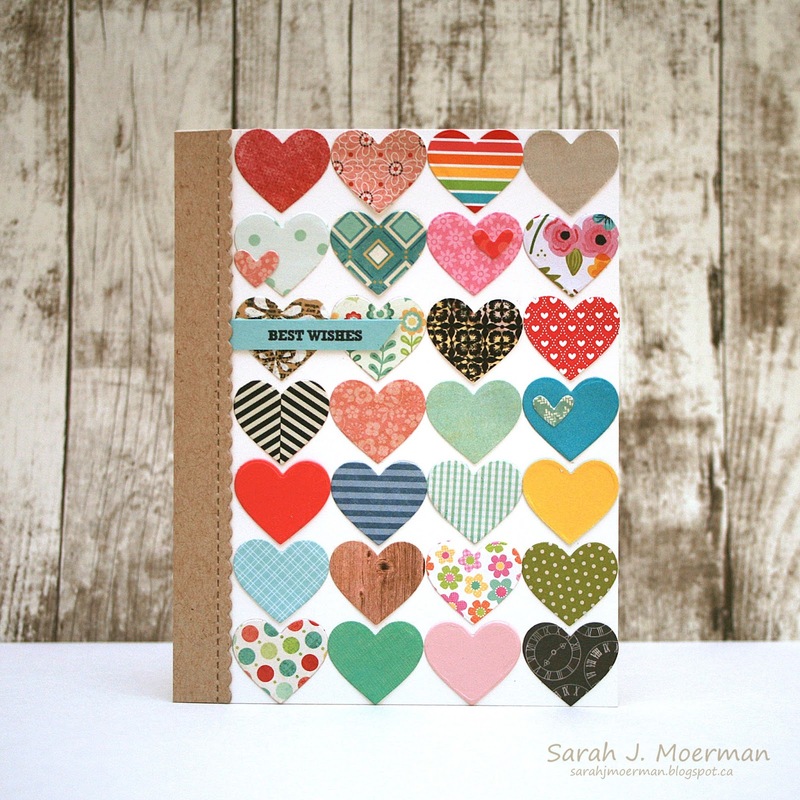 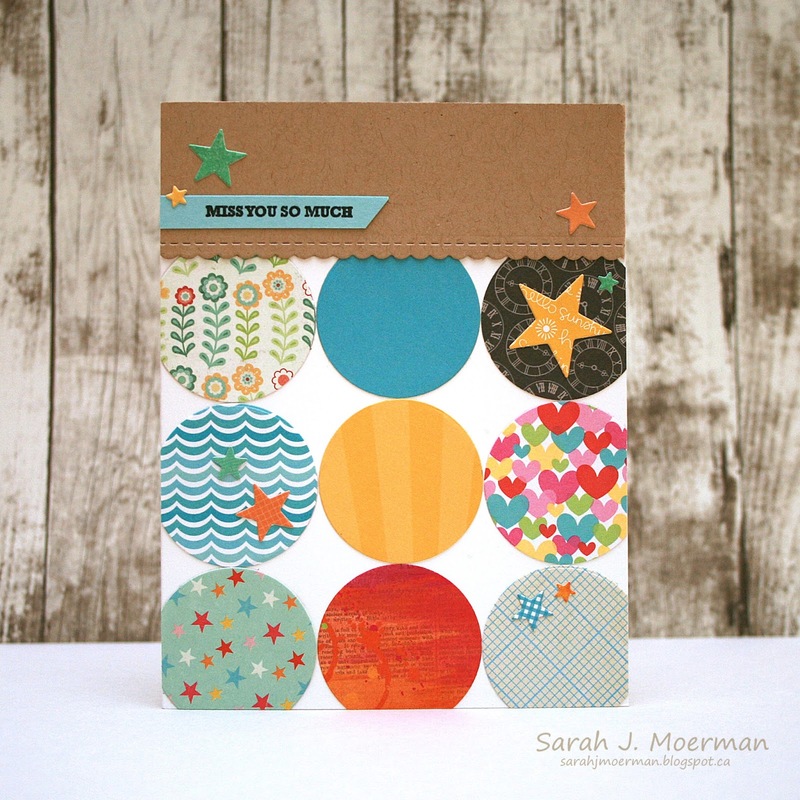 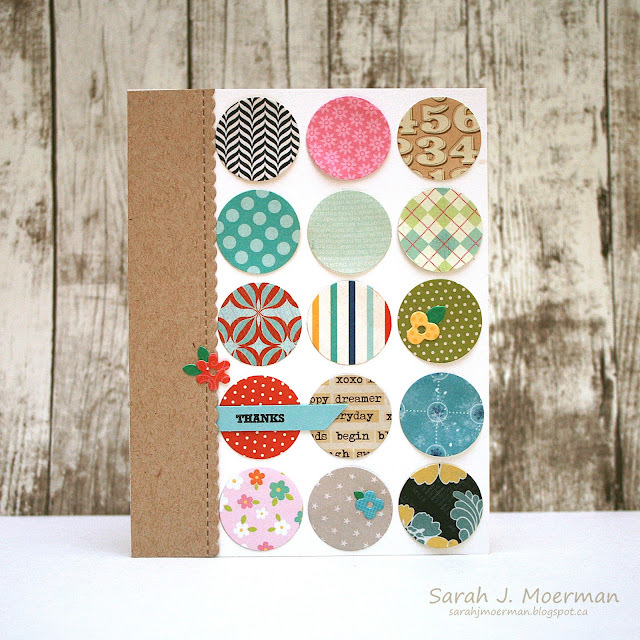 I'm back to share another project featuring the Simon Says Stamp December Card Kit. 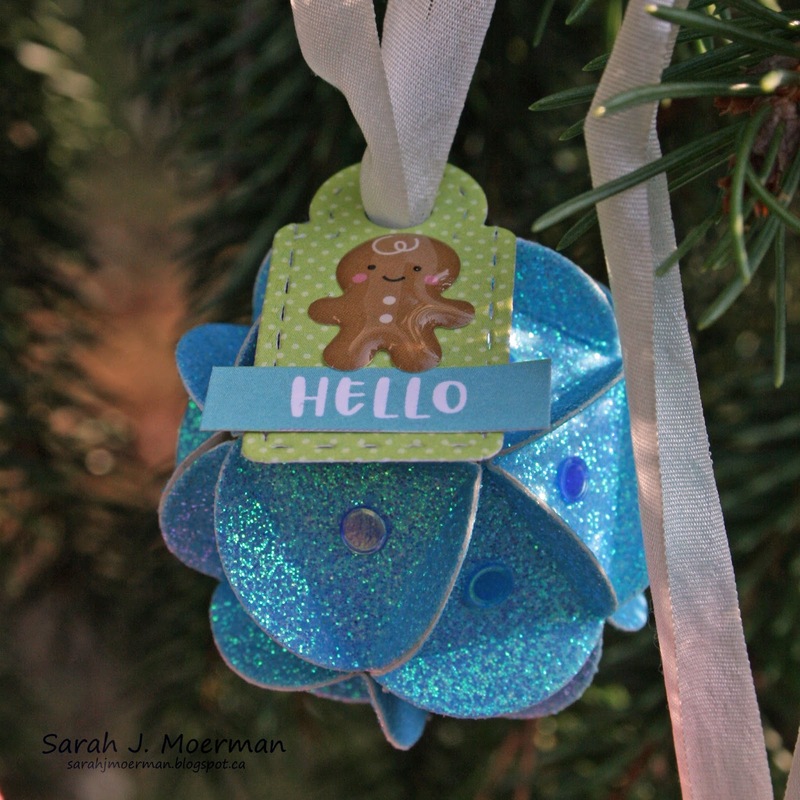 I recently purchased the Altenew 3D Ornament Dies and couldn't wait to play with them. I thought the beautiful Tonic Glitter Papers would be perfect to use with them. I die cut the pieces needed and adhered them together, being sure to add my silk ribbon before them were completely together. 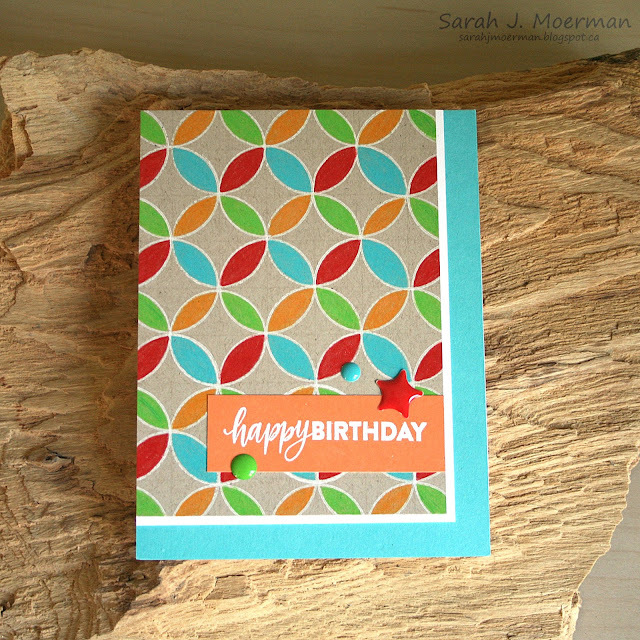 I used Hero Arts Mini Clothes Pins to help keep them together as they dried. 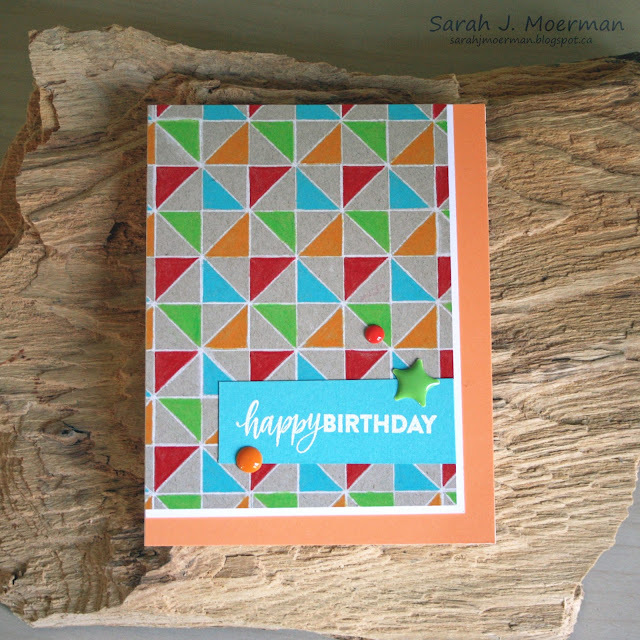 I then added some of Simon's Colorful Confetti to each triangle. I made tags from the Doodlebug Milk and Cookies Papers using one of Simon's Bundle of Stitches Dies and decorated them with sentiments from the same papers and images from the Doodlebug Milk and Cookies Shape Sprinkles and Doodlebug's Sugarplums Shape Sprinkles. 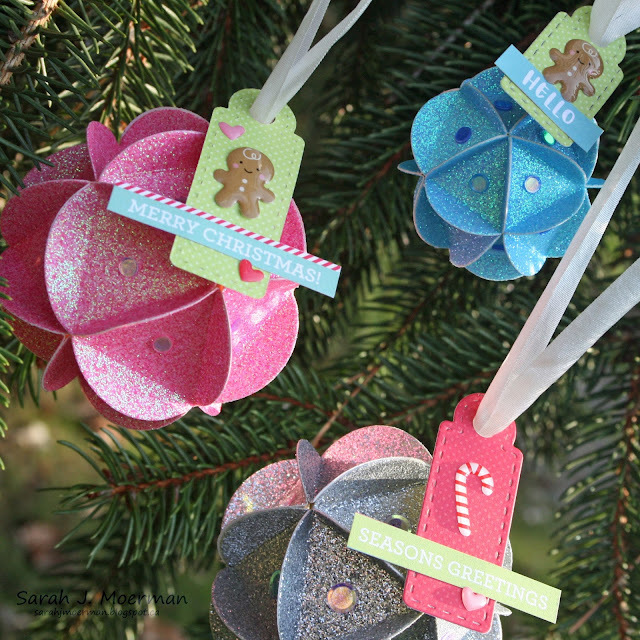 Finally, I slid the tags over the ribbon and they were ready to hang up. Before I go, I wanted to mention that Simon has just released their special Limited Edition Holiday Card Kit: Mint Wishes. 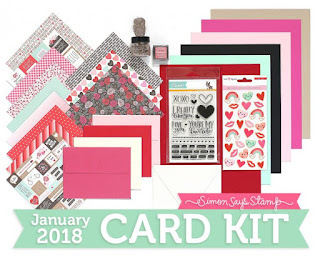 This kit is not part of the regular monthly card kit and each year it has sold out fast.